Yesterday, struggling Overwatch League team Shanghai Dragons confirmed that they’d signed Kim “Geguri” Se-Yeon—the first woman to join the league—as well as three other Korean players. 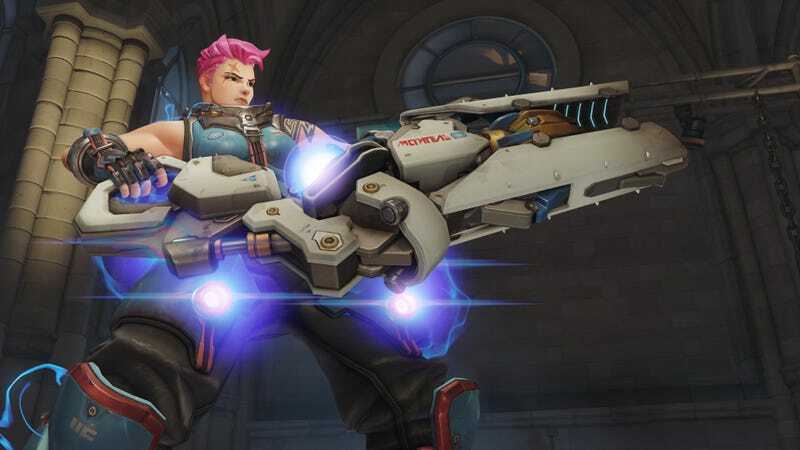 Those champing at the bit to see Geguri melt fools with impossibly fast Zarya lasers, however, might want to rein it in a little. As spotted by Unikrn, a post from Shanghai Dragons manager Van suggests that Geguri, He “Sky” Junjian, Lee “Fearless” Eui-Seok, and Chon “Ado” Gi-Hyeon won’t be able to leap into the fray right off the bat. “Based on visa application times, we predict that our four new recruits will arrive in the US later in Phase Two,” Van wrote. In other words, Geguri and co won’t be able to play for Shanghai when Overwatch League stage two kicks off next week. Athletic visas aren’t easy to obtain, and the process could take multiple weeks (or months) depending on when Shanghai started it. The same could go for other teams like Florida Mayhem, who recently announced that they’ve signed Korean players Ha “Sayaplayer” Jung Woo and Kim “aWesomeGuy” Sung Hoon. I reached out to Florida Mayhem to find out when they think their new signees will push the payload past the seemingly endless series of points that is United States bureaucracy, but as of writing, they had yet to get back to me. What this means for Shanghai, though, is that their new secret weapons won’t be of much use to them during stage two’s crucial first weeks. If they begin the stage with a losing streak akin to their 0-1o record from stage one, they may not be able to recover and make the stage play-offs, even after Geguri and the rest arrive. This is far from the first time that visa issues have gummed up the works of esports’ teams machinations. As far as the Overwatch League goes, Philadelphia Fusion ended up missing the December 2017 preseason entirely due to “player logistics issues” that arose from visas. Overwatch League returns next week. Here’s hoping Shanghai’s players are ready to hold down the fort until reinforcements arrive.